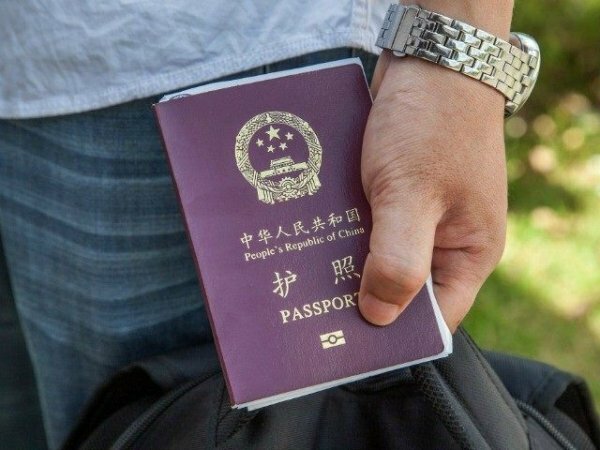 Chinese authorities have created a two-tier passport system which severely restricts minorities from travelling abroad, indicates a Human Rights Watch report published in July 2015. While in areas populated by the country's ethnic Han majority passports must be issued within 15 days, in regions mostly inhabited by ethnic minorities the process requires extensive paperwork. As a result, passports for Uyghurs and Tibetans are often delayed or denied without clear explanations. Human Rights Watch has released a report alleging that China has developed a two-tiered passport system designed to prevent the nation’s Tibetans and ethnic Uyghur population from leaving the country. Both groups, internationally known for their resistance to the central government in Beijing, suffer up to five-year delays in passport processing without explanation. “If you are a religious minority who lives in a part of the country where most people are minorities, it’s virtually impossible to get a passport,” says Human Rights Watch’s China director, Sophie Richardson. While members of China’s majority Han ethnicity can efficiently acquire passports, leading to 100 million trips outside of mainland China in the past year, Uyghurs and Tibetans are forced to fill out extensive paperwork and show numerous documents not required for Han Chinese nationals. The processes in Tibet and western Xinjiang, where most Uyghurs live, also requires “political vetting”–assurance that the person requesting the passport has not been involved in activities against the Chinese communist government. These individuals are often delayed or denied passports with no explanation. Human Rights Watch concludes an ethnic and political basis for the two-tiered system, as only one of China’s prefectures using the more extensive application process is populated with mostly Han Chinese. Fewer than ten percent of prefectures use the system, and with the one exception, all are in Tibet or Xinjiang. In Tibet’s Changdu prefecture, two passports were issued in the entirety of 2012. The study arrives at a time in which Uyghur migration, in particular, has become a point of international contention. Uyghurs have been attempting to flee China in droves as Beijing continues to crackdown on Islam in Xinjiang, going as far as to force shops in the state to sell alcohol and cigarettes, both banned by Islamic teaching. The Chinese government has established deals with countries like Thailand and Indonesia that repatriate Uyghurs who illegally migrate to those countries, seeking to live in nations more open to the practice of Islam. In Thailand, hundreds of Uyghurs fleeing China have been arrested and repatriated to China, triggering protests in Turkey, where the Turkic Uyghur people are considered brethren. Thailand sent 170 of those arrested to Turkey–those who could prove they were Turkish nationals; those who could not prove they had ties to Turkey were returned to China, where the Chinese government claims many Uyghurs were not on their way to Turkey, but to Syria and Iraq to join the Islamic State terrorist group. Throughout its ordeal with the Uyghur population, China has attempted to appear open-minded towards Islam generally. While the crackdowns continued on Uyghur separatist groups in 2014, China announced that it would pay for 14,000 Chinese nationals to travel to Mecca and complete the hajj, a requirement of the religion. The trips, however, would fly out of Ningxia, not anywhere near the Uyghur heartland. Most of its beneficiaries would be from China’s largest Muslim ethnic group, the Hui, who, unlike Uyghurs, are physically indistinguishable from Han Chinese, live spread out throughout China, and have not threatened Beijing politically.